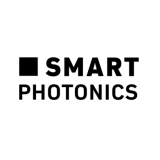 SMART Photonics highly values partnerships with all our customers, investors, employees, suppliers and other stakeholders. Our partnerships are all based on mutual respect and added value for each participant. SAN-ES is the local Japanse trade office for SMART Photonics services and products. Tipps is a specialized solution provider for PIC (Photonic Integrated Circuits) evaluation & packaging by supplying dedicated and mid-range volume packaging services. LioniX International offers several solutions and services for assembly and packaging of Photonic Integrated Circuits (PIC). These specifically apply to prototypes, demonstration models and small-volume series of end products. Embedding a full optical system into a single photonic chip can be a complex and time-consuming task. VLC Photonics, as a fabless design house, can help with multiple solutions spanning the whole optical integration process, from the initial concept evaluation to the circuit layout, prototyping and testing of the chip. BRIGHT Photonics is a design house for Photonic Integrated Circuits (PIC) in Silicon, III-V, SiN, Silica and Polymers. With our partners we are leading the development in making PICs accessible to businesses, research institutes and universities. PhoeniX Software supports organisations worldwide to improve quality, reduce time to market and enhance research by offering unique and highly integrated software solutions, training and customer support. Our customers are active in integrated photonics, microfluidics, MEMS, printed electronics and other micro and nano technologies. VPIphotonics™ sets the industry standard for end-to-end photonic design automation comprising design, analysis and optimization of components, systems and networks. PICWave's InP design kit for Smart Photonics contains the building blocks offered by this foundry for users of the JePPIX platform. This design kit is available to users of the associated JePPIX platform. This Design Kit provides a sophisticated and detailed optoelectronic model of all of the Smart Photonics building blocks (BBs). Active building blocks such as SOAs are the most challenging to model accurately and Photon Design has worked closely with Smart Photonics to bring out a calibrated model for the SOA and all of the Smart photonics active BBs. Nazca is an open-source PIC tool based on Python-3. It makes use of the high-end open-source Klayout mask viewer/editor, which is extremely popular in the photonics community. Nazca, makes design simpler and more fun by adding many features lacking in most commercial tools, but which are critical for the designer to deliver high-quality designs efficiently. This ranges from embedding hierarchical design in the script syntax to visualisation schemes in mask layout. PhotonicsNL is the unique portal for Photonics in the Netherlands. 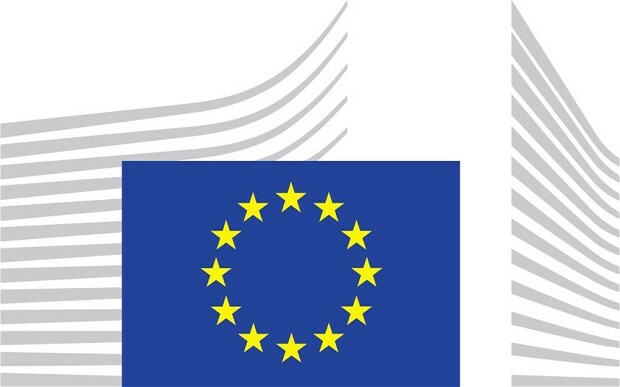 Photonics is worldwide being recognized as a key enabling technology for the 21st century and especially in Europe by the European Commission but also in the Netherlands by the High Tech Topsector. Our mission is to stimulate photonics innovation by enabling collaborations and cross-fertilization between companies and industries, to increase the level of awareness of the importance of photonics for our economy and to increase the knowledge of photonics at all levels of education. The PhotonDelta Cooperative is a new international, professional membership organization with its headquarters in Eindhoven, The Netherlands. Exponential growth of the global Photonics Industry comes through intensive, sustained cooperation between trusted partners. So, we’re combining the powerful energy found in young scale-up companies with the experience of established photonics enterprises. We also have unique access to world-class Research and Development institutions across our region and across the world. That includes Universities as well as private corporate research centers. The European Photonics Industry Consortium (EPIC) is a non-for-profit association with headquarters in Paris, France. EPIC serves the photonics community through a regular series of workshops, market studies and partnering. EPIC focuses its actions on LEDs and OLEDs for lighting, optical fiber telecommunications, laser manufacturing, sensors, photovoltaics and photonics for life sciences. EPIC coordinates its activities internationally through its membership in the International Optoelectronics Association. The Make Next Platform provides the future generation of manufacturing companies with a unique opportunity to gain access to the networks, knowledge and expertise of the leading Dutch companies ASML, Huisman and Vanderlande. The Platform aims to share technology, knowledge and business experience, to exchange best practices, to coach young manufacturers and to support them in their development to become global players. The mix of experience, knowledge and new ideas will enhance everyone’s innovation capabilities and create interesting cross connections. Therefore, the Platform acts as a virtual accelerator and contributes to strengthening the ecosystem of the manufacturing industry in the Netherlands. High Tech Campus Eindhoven is the smartest km² in The Netherlands with more than 160 companies and institutes, and some 11,000 researchers, developers and entrepreneurs working on developing future technologies and products. The Campus helps you accelerate your innovation by offering easy access to high tech facilities and international networks. Campus companies (a.o. Philips, NXP, IBM, Intel) strategically decide what knowledge, skills and R&D facilities they share in order to achieve faster, better and more customer-oriented innovation in the application fields Health, Energy and Smart Environments. Located at the heart of Brainport Campus companies are responsible for nearly 40% of all Dutch patent applications. The Institute for Photonic Integration is a leading R&D center in the field of photonics. The work of the institute ranges from fundamental scientific research to the development of prototypes that are taken on to the product stage by industry. The institute covers three fields: photonics materials (III-V semiconductors), integrated circuits (photonic integrated circuits, PICs) and photonic systems. he scale-up phase is all about capturing growth opportunities. There are many ways to do this, ranging from internationalization to expanding the number of outlets and launching new products. But is the organization ready for this? Do you have sufficient insight into the risks? And how do you finance the required investments? BOM provides ambitious entrepreneurs with expertise, skills, capital and contacts to support their next phase of growth. Photonics is a rapidly growing field with a total market volume that is comparable to the market of electronics, but growing faster. Whereas micro and nanophotonic integration are dominant technologies in the field of electronics, photonic integration is still in its infancy, but rapidly growing. Important developments are: •The introduction of generic integration technologies i.e. technologies that support integration of a broad range of functionalities from a small set of basic components, similar to CMOS technology in electronics. •The development of photonic ICs on top of electronic ICs (silicon photonics). •The development of plasmonic nanolasers; ultrasmall and ultrafast lasers that can switch with ultralow power and that allow for Very Large Scale Photonic Integration. PhI is involved in a number of national and international research projects and plays a leading role in these three fields. PhI research offers ample opportunities for Master and PhD students to do research on advanced photonic ICs or technology and to get a job in a variety of smaller or larger high-tech companies that use Photonic ICs in their products or start your own business.